Once upon a time, every wedding menu included the obligatory Salmon or Filet of Beef. If you don’t believe me, ask your grandparents. But these days, your wedding menu is limited only by your imagination, and of course, the capabilities of your caterer. With so many options to choose from, it’s not surprising that even my most seasoned foodie clients are having trouble making decisions. Especially when it comes to selecting the cut and preparation of meat. From a recent tasting at Olivier Cheng Caterers, four creative takes on the age-old question of Where’s the Beef? 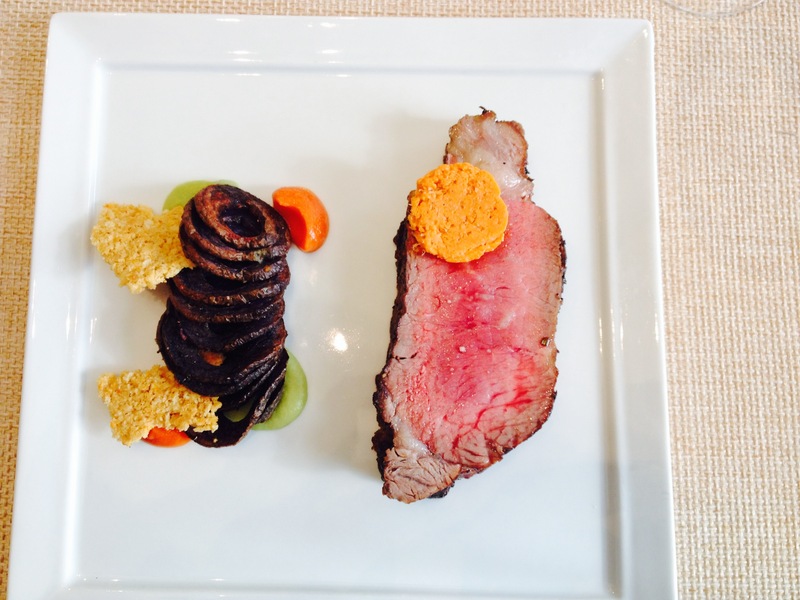 Below: Dry aged strip loin, bloody mary butter, purple accordion potato, celery and tomato puree. FYI – Dry Aged Beef means the steak is very tender and flavorful, due to the aging process. 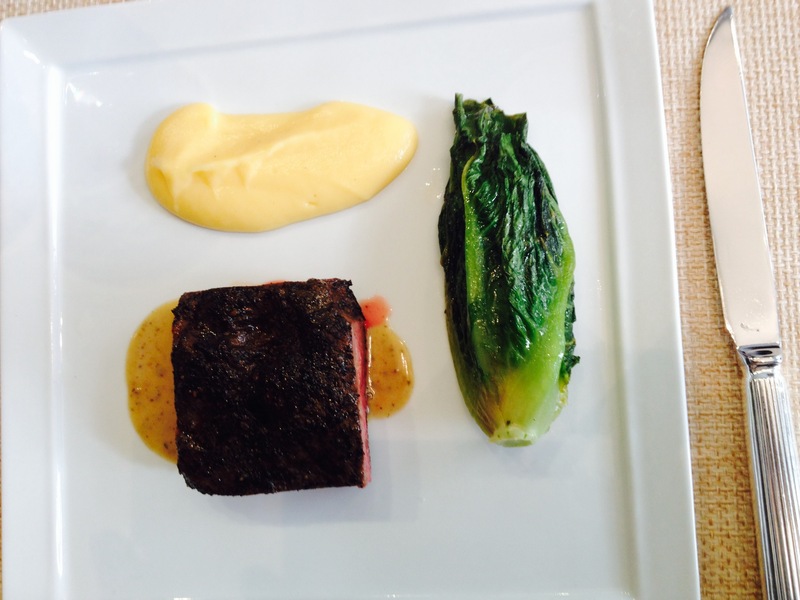 Below: Coffee cured wagyu flatiron steak, rutabaga aligot, braised baby lettuce. FYI – Wagyu is a breed of Japanese cattle that are genetically predisposed to intense marbling, which is highly prized (and higher priced). It’s considered the most tender and flavorful of all beef. It’s also lower in cholesterol. The most exclusive Wagyu in the world comes from Kobe, Japan. All Kobe meat is Wagyu, but not all Wagyu is Kobe. 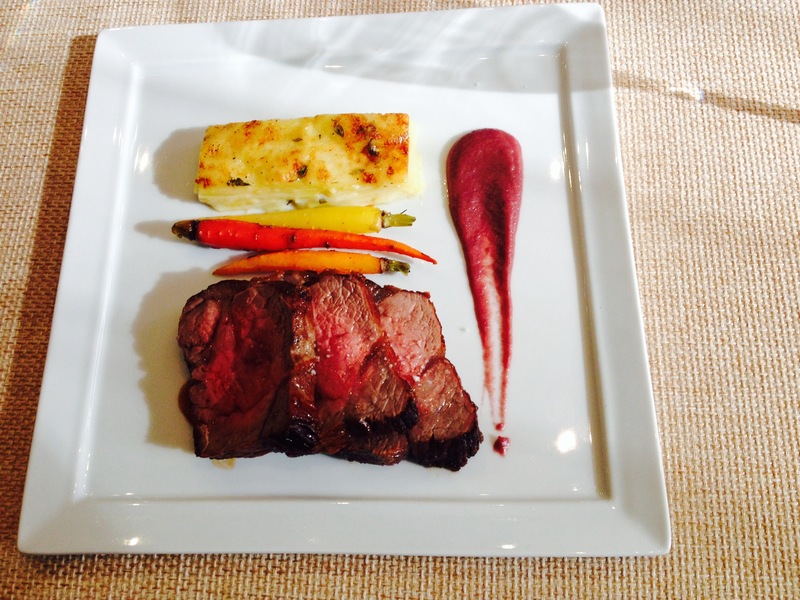 Below: Sliced striploin, red onion puree, Yukon gold Gruyère gratin, salt roasted carrots. FYI – Striploin is one of the most commonly served steaks in hotels and restaurants. It is also commonly referred to by many names, such as Toploin Steak, Strip Steak, New York Strip Steak, Ambassador Steak, Club Steak, Kansas City Steak, etc. The meat of the striploin is actually a continuity of the rib eye muscle group. 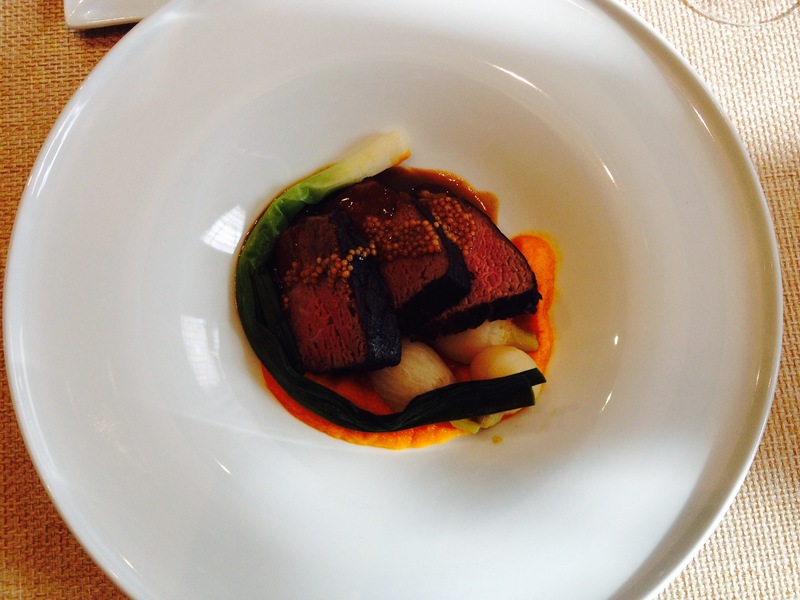 Below: 48 hour short ribs of beef, carrot puree, braised baby turnips, pickled mustard seed. FYI – Beef short ribs are larger and usually more tender and meatier than their pork counterpart, pork spare ribs. When slow cooked, it’s usually forkable, meaning your guests won’t need a steak knife. And for those who are looking for a beef alternative that’s still a crowd pleaser, lamb is a great choice. 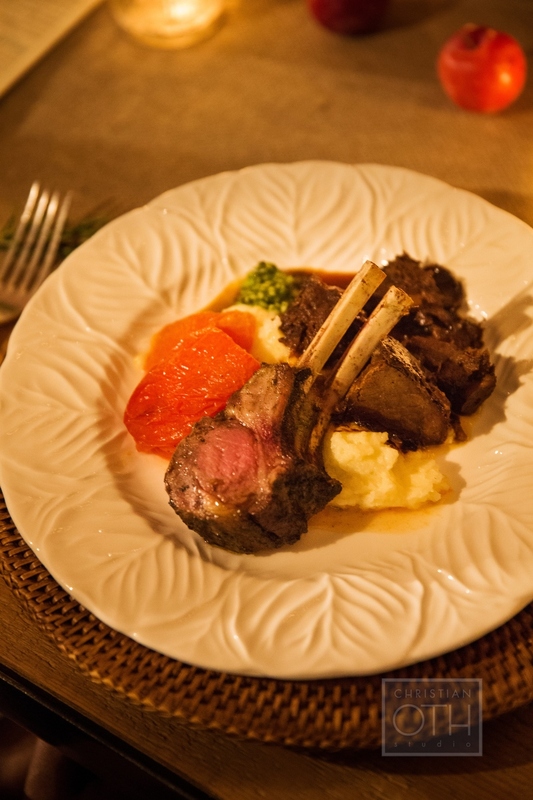 Below, roasted rack and braised leg of lamb, roasted plum tomato and goat cheese mashed potatoes with cracked pepper zinfandel jus by the talented folks at Creative Edge Parties. Photo by Christian Oth of Christian Oth Studios.